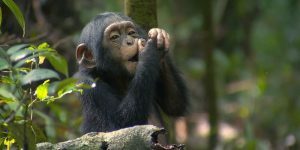 The 6 Days Rwanda Gorillas & Chimpanzee trekking Safari is one of the excellent safari packages 0rganised by Prime Safaris and Tours Ltd for you to encounter the delightful primate species protected in Rwanda- the land of thousand hills. The 6 Days Rwanda Gorillas &Chimpanzee trekking Safari will take you through Rwanda’s primate Capital- Nyungwe forest park for memorable Chimpanzee trekking experience; thereafter, it connects you to Volcanoes national park where you will have life time experience of trekking the world endangered species of the mountain gorillas in their natural habitat of Volcanoes national park. The highly rewarding safari starts and ends in Kigali-the Capital City of Rwanda. Day 5 of the 6 Day Rwanda Gorillas & Chimpanzee trekking Safari: Do Gorilla Trekking & Musanze Cave tour. Day 6 of the 6 Day Rwanda Gorillas & Chimpanzee trekking Safari: Trek to Dian Fossey Tomb & Transfer to Kigali City. Day 2 of the 6 Day Rwanda Gorillas & Chimpanzee trekking Safari: Transfer to Nyungwe Forest Park with enroute stopovers at Butare National Museum, Nyanza & evening Cultural encounter.